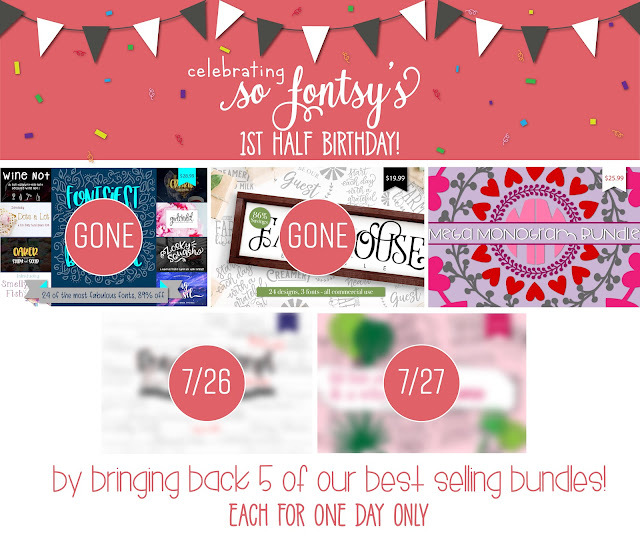 So Fontsy's Epic First Half Birthday & Giveaway: Mega Monogram Bundle is BACK!!! It's hard to believe it's been six months since we launched our sister site So Fontsy...but here we are killing it! I'm so proud of what our marketplace for commercial use and cut friendly SVG/PNG and fonts has grown into in just six short months. (They tell me it's been 6 months, but I swear it feels like an eternity.) To celebrate our first half birthday we're celebrating with a huge party all week! Not only do we have a giveaway - open worldwide and with 6 winners - we will be pulling our five most popular bundles ever out of retirement. Each of the top 5 most popular font and design bundles will only be available again for one day each. So don't miss your second chance..because there won't be a third! So Fontsy's half birthday is already underway and today the Farmhouse Bundle is available again...but only until tonight at 11:59pm EST. At midnight we'll release another mystery top 5 bundle...for another 24 hours. We'll release one each day through Friday! And....we're also celebrating with our biggest giveaway ever! There will be six winners....one each day will win the bundle of the day and the grand prize winner will win ALL five of our most popular bundles. 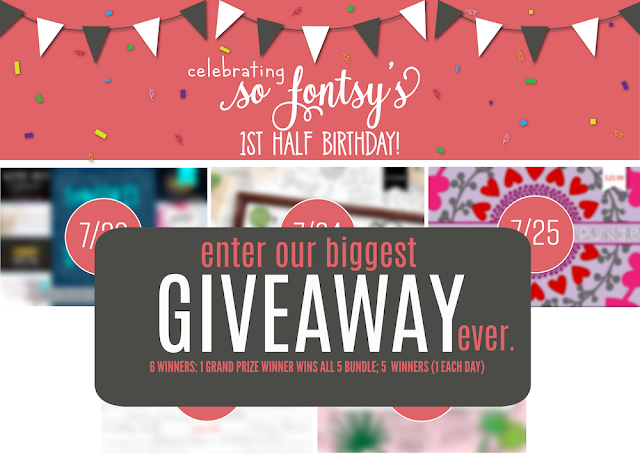 If you're randomly selected as a winner and you already purchased the bundle during So Fontsy's Half Birthday week...we'll refund you... so don't risk missing it!! 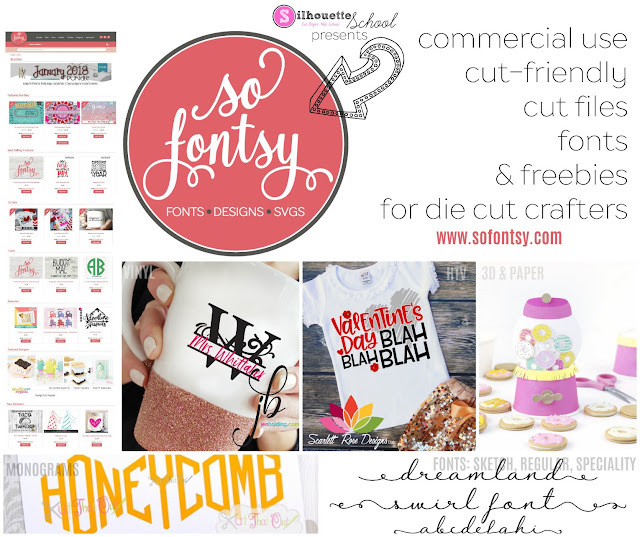 If you want to make sure you don't miss any of the So Fontsy bundles that we're re-releasing this week...or any of the other fabulous SVGs and fonts and embroidery files and 3D designs and rhinestone designs and sketch fonts and weekly freebies (need I say more), be sure to sign up to get So Fontsy emails!